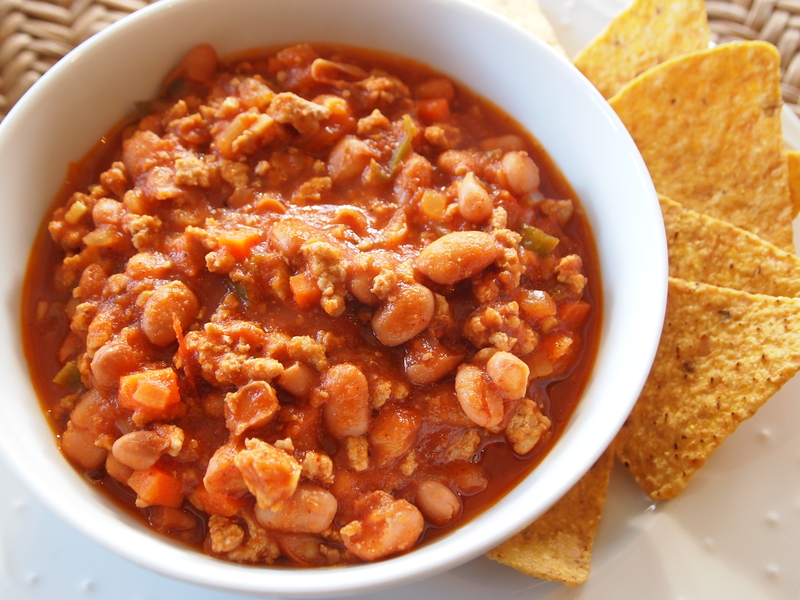 It’s that “chili time of year”, and, not wanting to get bored with the same old-same old, I am always searching for new and different chili recipes. I can’t say that every single new recipe I’ve made has been fabulous, but I’m not a chili purist and love experimenting. 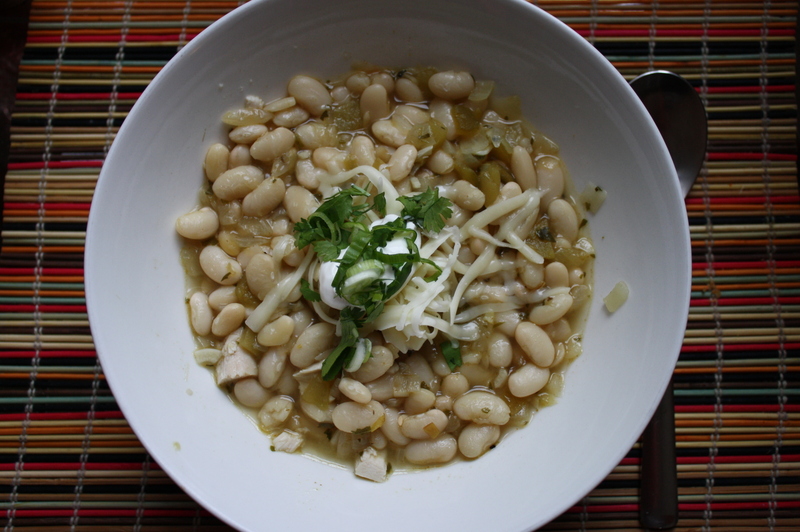 (See our recipes on White Chili and one made with Sriracha sauce) I saw this recipe in the February Food & Wine and thought it looked worth a try. We really enjoyed it! The original recipe, which I made a few tweaks to, was from Art Smith, a former private chef of Oprah’s. He swears this is Oprah’s favorite chili :-). We thought it was darn good and will include it in our regular rotation when it’s chili weather! Don’t be daunted by the number of ingredients; it was very easy to put together. Coat the bottom of a large Dutch oven with the olive oil and saute the onion, carrot and bell pepper until soft and beginning to brown – about 5-7 minutes. Add the garlic and saute 1-2 minutes. Add the chile powder, cumin, oregano and chipotle pepper and saute for a couple of more minutes. Add the beer and chicken stock/broth and stir to blend all thoroughly. 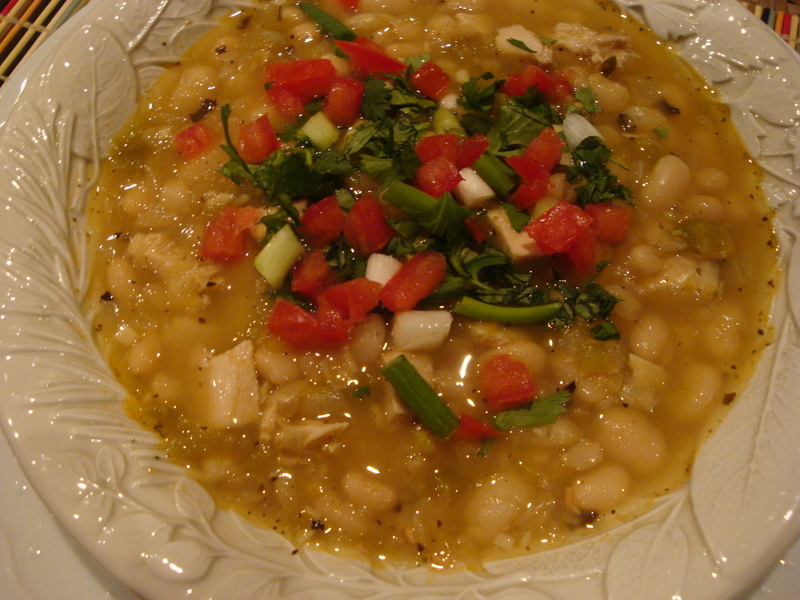 Add the tomato puree or diced tomatoes, pinto beans and vinegar. 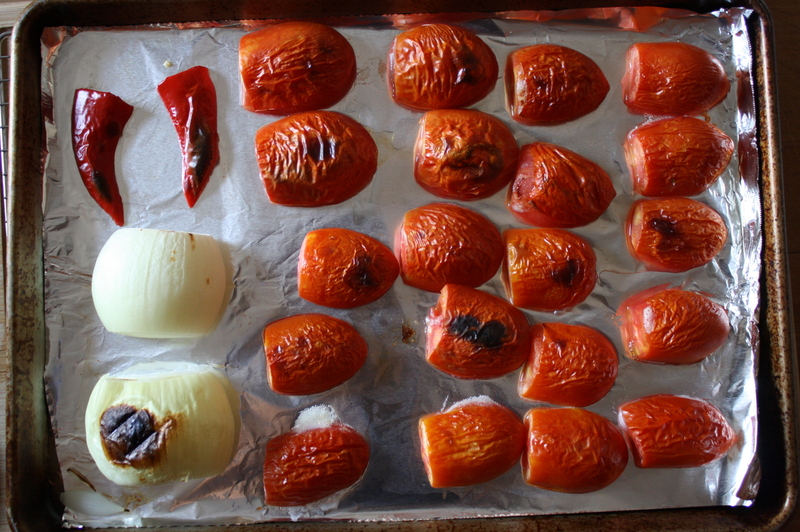 Bring to a boil, lower heat and simmer for 45-60 minutes. While chili is simmering, brown the turkey in a large skillet over medium high heat in two batches so that it browns and doesn’t stew. Remove the browned turkey with a slotted spoon and stir into the chili toward the end of the 45-60 minutes. Add salt and pepper to taste and the fresh thyme. 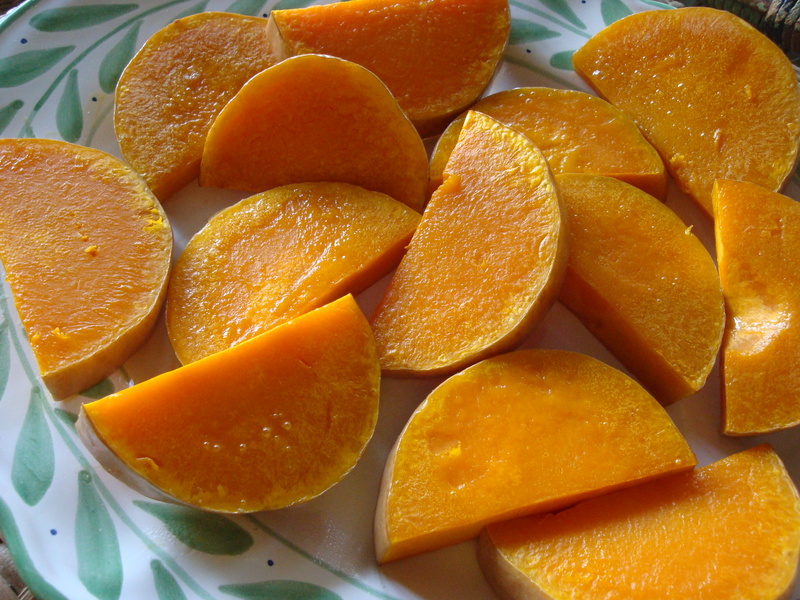 Delicious with corn chips or corn bread. Thank goodness it’s gotten back to normal fall weather! The first 11 days of October were 80 degrees up here in the northern climes of Minnesota – unheard of! At first I loved how warm it was, but after a few days I starting yearning for the cool, crisp air of fall. 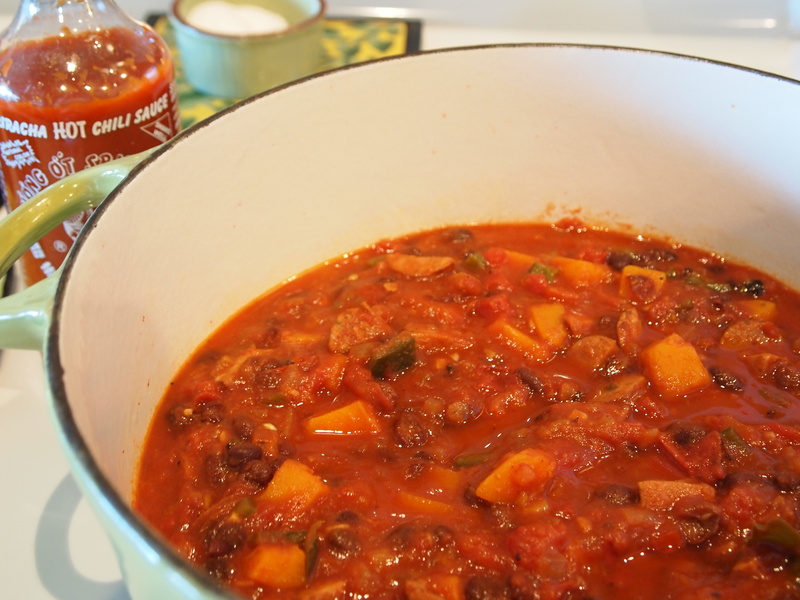 Since our temps are more autumn-like now, I thought it was time for a pot of chili. I’m always looking for unusual recipes for chili so this one caught my eye. 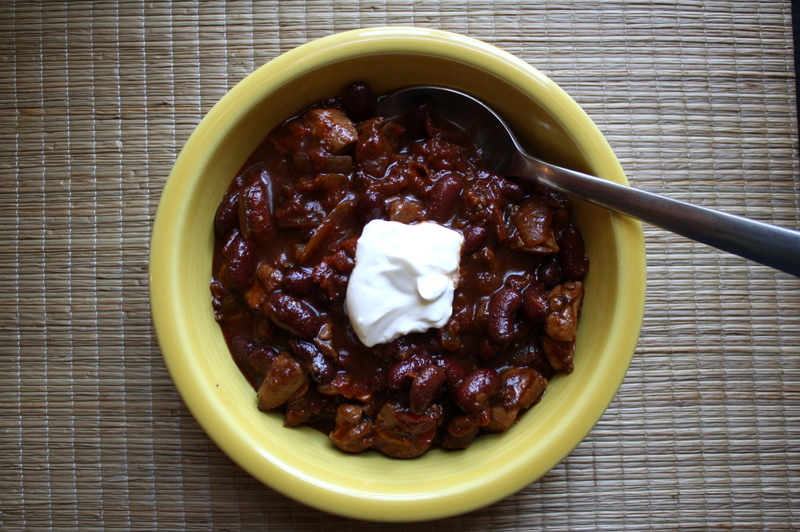 Chili purists may argue with this approach, but this recipe is really tasty. Randy says that it needs to become part of our regular rotation, if for no other reason than it makes the house smell fabulous! 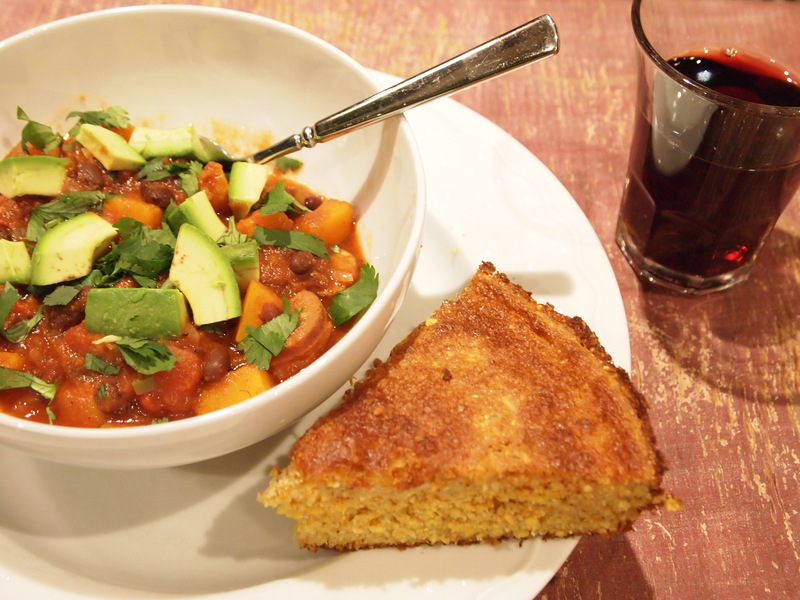 We served it with Harvey Cornbread – a must around here with a bowl of chili, no matter what kind it is. A dark beer or glass of Zinfandel (that isn’t too high in alcohol) taste great with this dish. November 2012 update: We served this over brown rice and loved it. I think we might serve this way from now on! This was definitely a hit in my house, too! I always love anything with butternut squash in it, and my husband and sister-in-law both liked it as well, especially because of how spicy it is. The only downside to making things on the spicy side around here is that I have to come up with something different for my son to eat…he used to like spicy foods, but everything now has to be served mild and at room temperature for his sensitive toddler tongue! The only different thing I’ll do next time is just go ahead and throw a fourth sausage in (they come 4 to a package, and it would have been just as good with the extra sausage in it). Otherwise, it was great! Make the chili: Heat 1 tablespoon of the canola oil in a stockpot or dutch oven over medium heat. Add sausage pieces and saute for about 5 minutes. Remove with a slotted spoon to transfer to a plate lined with a paper towel. Set aside. Add the onion to the pot and saute for about 3 minutes, stirring frequently. Add the peppers; saute 3-5 more minutes, until all begin to soften. Add the garlic and stir to blend, cooking an additional minute. Add the dry spices and cook, stirring, for 1 minute. Add the tomato paste and stir to blend. Add the tomatoes with their juices, the chicken stock, the reserved cooked sausage, the Sriracha and bay leaf. Simmer for about 15 minutes. Stir in the cubed squash and black beans. Simmer 15 more minutes. Salt and pepper to taste. NOTE: I felt that additional salt was not necessary, given both the sausage and tomatoes added plenty of salt. 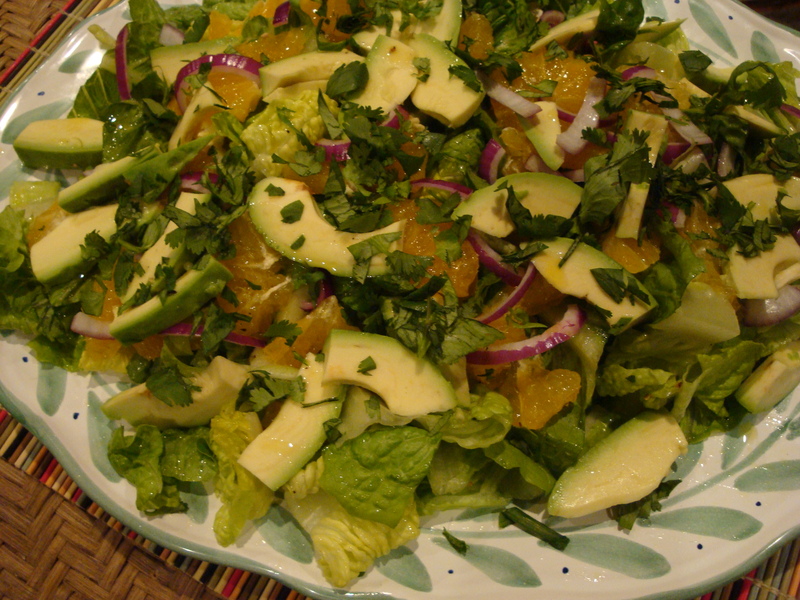 Serve in bowls garnished with cilantro, chopped avocado and a drizzle of sriracha. NOTE: Like many recipes of this ilk, all quantities are subject to adjustment. I used more chili powder and more chicken stock than originally called for, as an example.